Goethe-Zentrum Hyderabad is pleased to announce German Movie Night for the month of December 2016. GERMAN MOVIE NIGHT is a free monthly film programme of the best of German cinema presented by Goethe-Zentrum Hyderabad. The films are chosen for their artistry and relevance to the theme of each month’s events. Kattaka (Nina Monka), an 11-year-old girl from Berlin, learns that her biological father is a Russian sailor, whose ship is docked at the Polish port of Gdansk. She sets out with her friend Lene to try to meet her father and reconcile her past. Snacks will be served at 6:15pm. 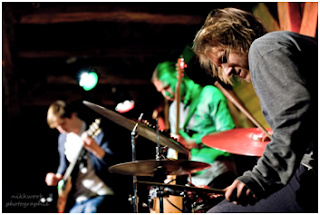 Goethe-Zentrum Hyderabad is pleased to present MELT TRIO: JAZZ CONCERT on 23 November 2016, 7.30 pm at Sailing Club Annexe. Goethe-Zentrum Hyderabad is pleased to announce German Movie Day for the month of December 2016. GERMAN MOVIE DAY is a film programme that brings you day-time movies once a month from Germany. If you are a German student, an enthusiast of German culture or simply like watching matinees – this is the show for you! The themes of the films vary based on the cultural theme of the month, and are mostly light-hearted and cultural. It is deep winter in the Japanese province of Echigo. The snowy landscape might look like the backdrop to a fairytale, but life in the white cold is arduous for the inhabitants of the region. 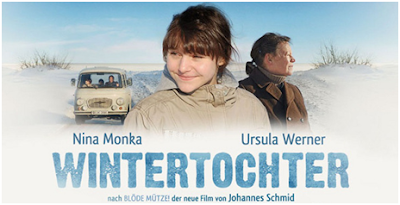 Ulrike Ottinger observes contemporary life there and simultaneously sends off two actors on a journey to explore the region’s past. 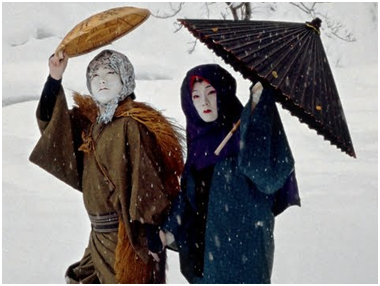 UNDER SNOW is a realistic documentary about a rural area and also an investigation of its myths. Snacks will be served at 11:15 am. Goethe-Zentrum Hyderabad is pleased to announce "Christmas Market" starting at 5pm on Sunday, 11 December 2016. A Christmas market, also known as Christkindlemarkt and Weihnachtsmarkt, is a street market associated with the beginning of Christmas celebrations. 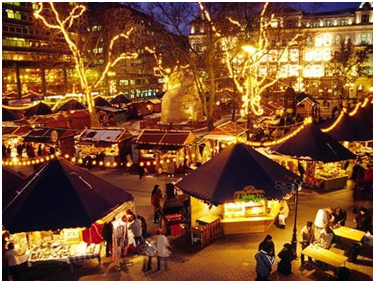 There is a Christmas market in many towns in Germany and Austria, ushering the beginning of the Advent (“Adventszeit”). Goethe-Zentrum Hyderabad is hosting another Christmas market, starting at 5pm on Sunday, 11 December. There will be a bazaar of handmade exclusive products, offers of refreshments and snacks of all kinds and delicious Christmas sweets. Radio Revolten is a month-long radio art festival being held in Halle, Germany from October 1-31, 2016. About 70 artists from 17 countries will present contemporary art at various locations in the city in the form of installations, performances, concerts and interventions. The film closely follows the Böhm family, examining a life marked by work – one that Gottfried Böhm’s wife, who sacrificed her own career for the sake of her husband, still participated in, despite her illness. Only after her death does the family become aware of the extent of her inspiration.